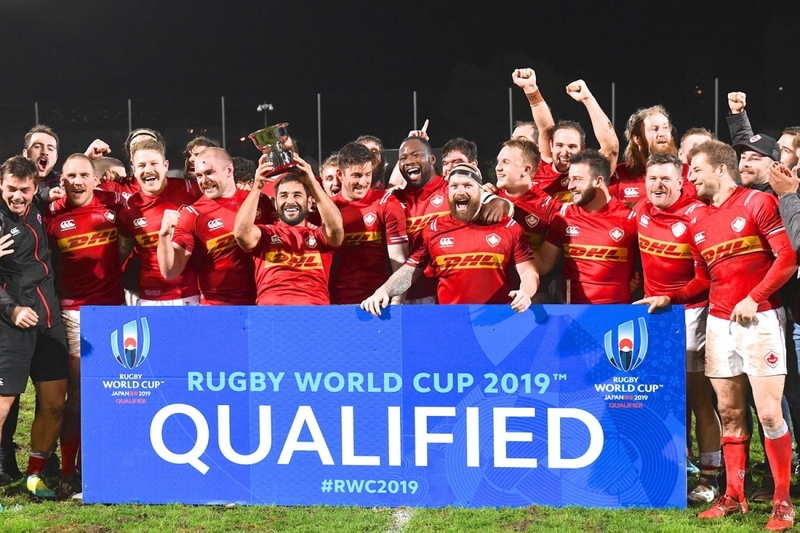 On behalf of CW Rugby I offer the club’s heartfelt congratulations and thanks to the players and staff (including those who did not make it to Marseille but were involved in the build-up), on achieving their goal of qualifying for the 20th RWC in Japan next year. They have been a wonderful three matches that we have squirmed and cheered at every stage in support of the boys and mostly the team has presented as a well-coached unit. Now the dirty work has been done, the really hard yakka can begin and we will supportively follow the process and progress with great interest. Having offered our thoughts and wishes, I must comment on Rugby Canada’s release on the affair. After a paragraph of recognition of the player’s and staff’s achievements, the presser went on; “The Men’s Fifteens program was provided a much needed infusion of financial support from the registered members across the country to put in place a robust preparation plan that prepared them for this tournament.” (CEO, Allan Vansen). “We extend a heartfelt thank you to the 30,000+ registered members, the 250+ clubs and our 10 Provincial Rugby Unions who supported this team through an increase in their national registration fees earlier in 2018,” noted Tim Powers, Chairman of the Rugby Canada Board of Directors. “This result reflects the passion Canadians have for Rugby. Canadians from coast to coast to coast will be cheering on this team in Japan next fall. I cannot recall my club voting on approval of the mandated increase however, fortunately for the CEO and the Board, it turned up trumps. I wonder if, when the resultant funding is safely in the coffers, everyone will have $20 reduced from next year’s registration, given this year’s $600,000 sacrifice. There were many who stood out in the three match series but none as high as DTH (MVP, imo), constantly searching for work on both sides of the ball and inspiring his mates with his carries. The loosies – Ardron, Bailie and Rumball, foraged, carried and tackled like men possessed. The best of the tight forwards were Barkwill, Olmstead and Beukeboom, Sheppard with less minutes also stood out and the various FRF combos generally had the better of their opponents. Theo Sauder at full back was money and Hearn and LeSage were solid in the centers. I give McRorie great credit in adapting to the #10 spot and providing the best consistency in this slot since Ander Monro. He also added precious points with the boot at a high percentage. Captain Mack was a good leader and had three steady games. He did seem to have more time than in other recent losses, although I cannot say the box kick is Canada’s best weapon. It can be with pride that CW might feel it provided a very small role in the success of the venture with playing opportunities for Barkwill, Buydens, Ilnicki, Sears-Duru, Baillie, Hearn and Fraser ( Doug noted in civvies. Trust you got the same, deserved buzz as the rest, mate.) A footnote for today’s club, young props – Fawcett and Sponarski. Buydens, Ilnicki and DJ Sears in his two years took every opportunity to don the Tricolor over their number of seasons. Go, Canada! Canada Women took their record on their current tour in the UK to 2 – 1 with a massive four try outburst in the second half to conquer Wales today, 38 – 21. In a six-try outcome, we congratulate our “own”, Gabby Senft, on her try. Well done, all, knock over those Scots for good measure!